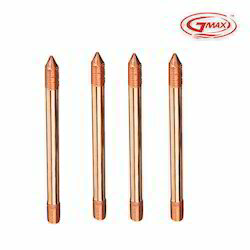 Leading Manufacturer of copper bonded earthing rods, copper bonded earthing rod, copper bonded earth rods, copper clad rod, copper bonded grounding electrode and copper bonded rods from New Delhi. 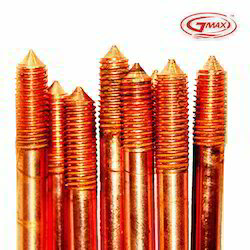 We are recognized as the renowned manufacturer of Copper Bonded Earthing Rods. 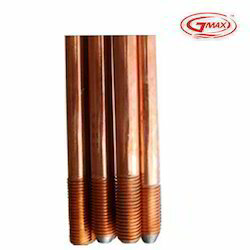 Clients can avail from us an extensive array of Copper Bonded Earthing Rods.demanded for Our offered earthing rod finds due to strength, corrosion resistance and comparatively low cost. Along with that, our professionals use contemporary techniques and the premium quality material as per with industry standards. 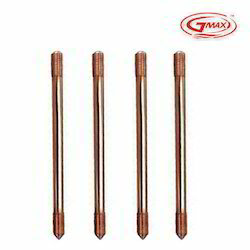 Moreover, we offer earthing rod to customers at nominal rates. Manufacturing hi quality copper bonded earthing rod & electrodes. 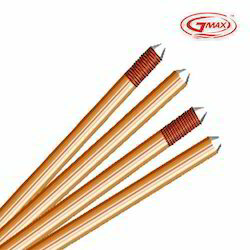 Gmax electric leading manufacturer, supplier & exporter of Sectional Copper bonded earth Rods (Copper Clad Rods) having a minimum of copper thickness of 250 microns, which ensuring corrosion resistance. Cost-effective: Being the manufacturer of copper bonded earth rods, we have full control over the quality, design and the prices of the products. 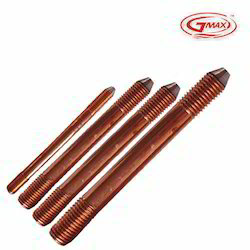 The Copper Clad Rod provided by us is widely used in the union of power installation, metallic structure and lightning arresters in ground. 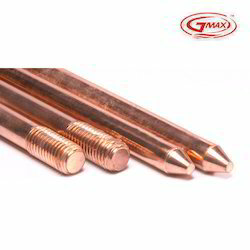 We are one of the trusted manufacturer and supplier of Copper Bonded Grounding Electrode . 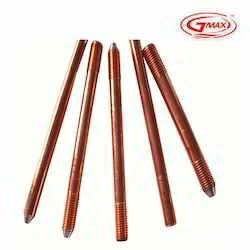 These electrode rods are bonded with copper and are completely corrosive resistant. 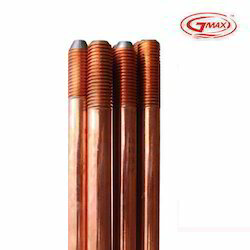 UL marked Copper Bonded Ground Rods known as highly reliable, the superior quality earthing system that is designed on globally accepted technology. Material Copper Bonded Rods Meeting UL467 International Standards. Copper Bonded Rods Meeting UL467 International Standards. Good Electrical Conductivity and Corrosion Resistance. 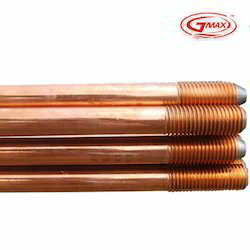 Known as a reliable manufacturer and supplier, we are engaged in offering Copper Bonded Earthing Electrode to our valuable customers. 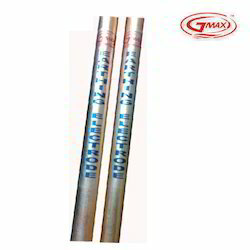 These electrodes are used for commercial and industrial earthing purposes. Being a quality conscious name, we assure that the premium quality of the offered electrodes is never compromised. 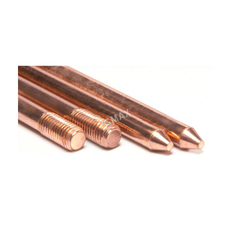 Looking for Copper Bonded Earthing Rods ?